Tickets (10 €) at the box office only. 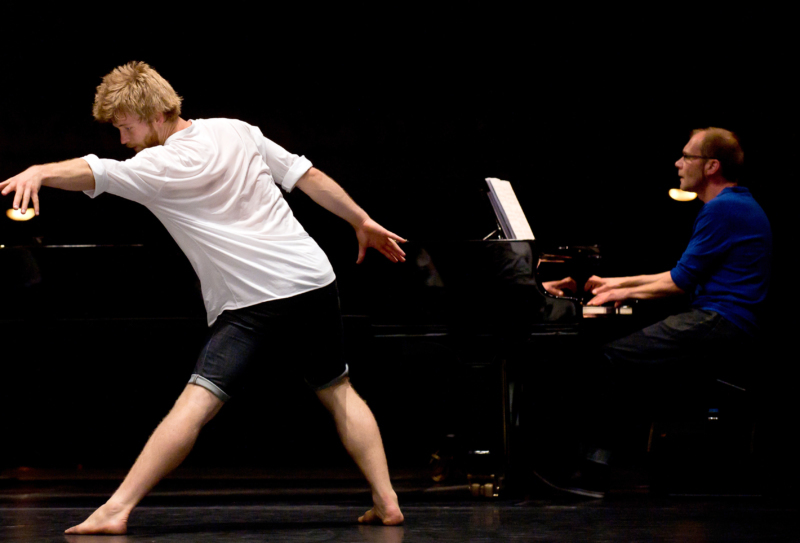 In their workshop at the Darmstadt Summer Course, the choreographer and dancer Daniel Linehan and the composer Stefan Prins will be sharing their experience of transdisciplinary collaboration between dance, performance, composition and musical performance (please also see the lecture on 26 July). Small groups of dancers, musicians, performers and composers will develop joint projects that will take shape concretely during the workshop, working through conceptual approaches and practical strategies. A special focus is on collaborations in which each of the different media inspires and generates a different approach to the other through close collaboration and experimentation. The focus is on the work process rather than the finished product. In this public showing, results of these collaborations will be presented as works-in-progress.